We provide all of the welding equipment repair work and replacement parts you need such as gasoline, diesel, and/or electric welders and brands such as Lincoln®, Miller®, and ESAB®. Our welder parts are also at prices that won't burn your budget. Welder Parts Warehouse is the only company offering welders the choice to rebuild selector switches on the SA 200 pipeliner. Add to this our 25 years of combined experience in the industry, and it's no wonder that many welders choose us for all of their welding equipment repair and replacement part needs. Please feel free to contact us if you have questions about our products, or if you are looking for something specific. 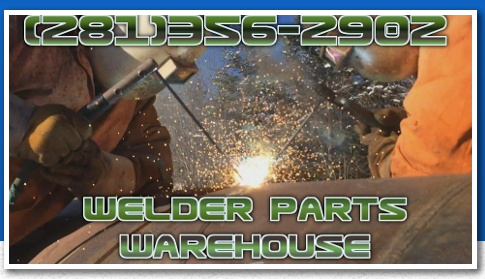 Call us today at (281)356-2902 or e-mail us at welderpartswarehouse@yahoo.com.